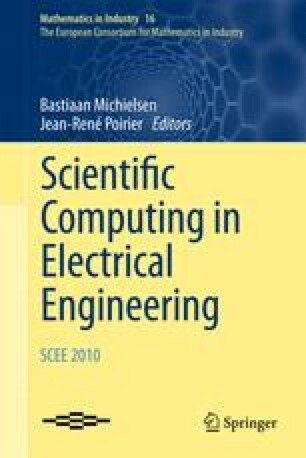 A dynamic iteration scheme is proposed for a coupled system of electric circuit and distributed semiconductor (pn-diode) model equations. The device is modelled by the drift-diffusion (DD) equations and the circuit by MNA-equations. The dynamic iteration scheme is investigated on the basis of discrete models and coupling via sources and compact models. The analytic divergence and analytic convergence results are verified numerically. The authors acknowledge partial support from the EU within the ICESTARS project, grant number FP7/2008/ICT/214911, from the German Academic Exchange Service “DAAD Jahresprogramm für Doktoranden” and the post-doc program of the “FG Mathematik and Informatik” of the Bergische Universität Wuppertal.